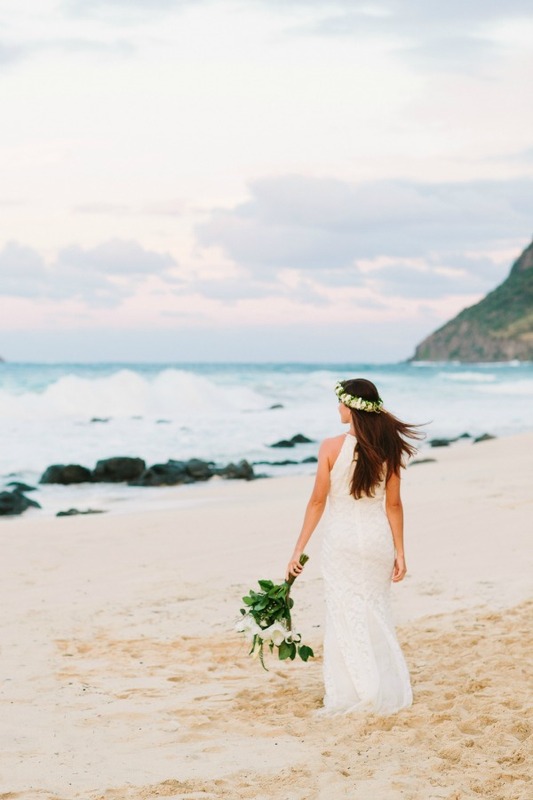 Beach weddings get me every single time. 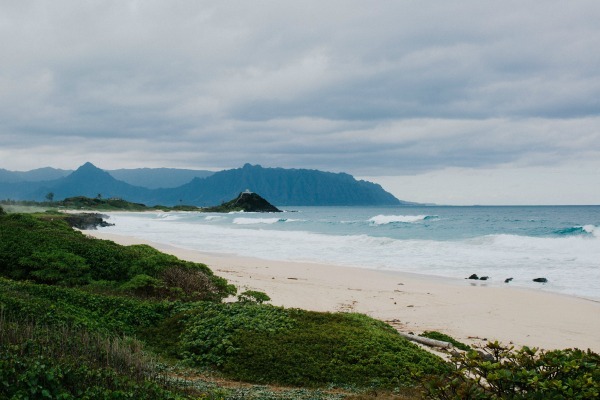 There’s something so romantic about being in a serene environment with the beauty of Nature stretched out before you. 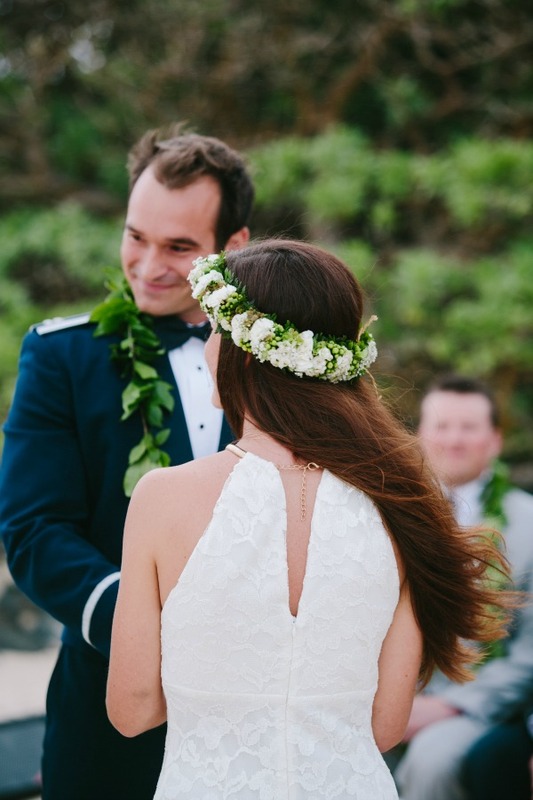 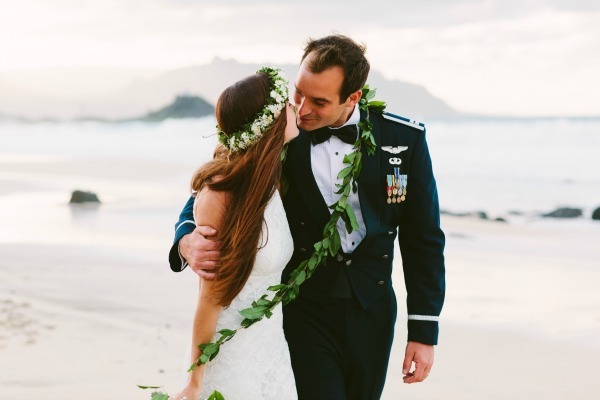 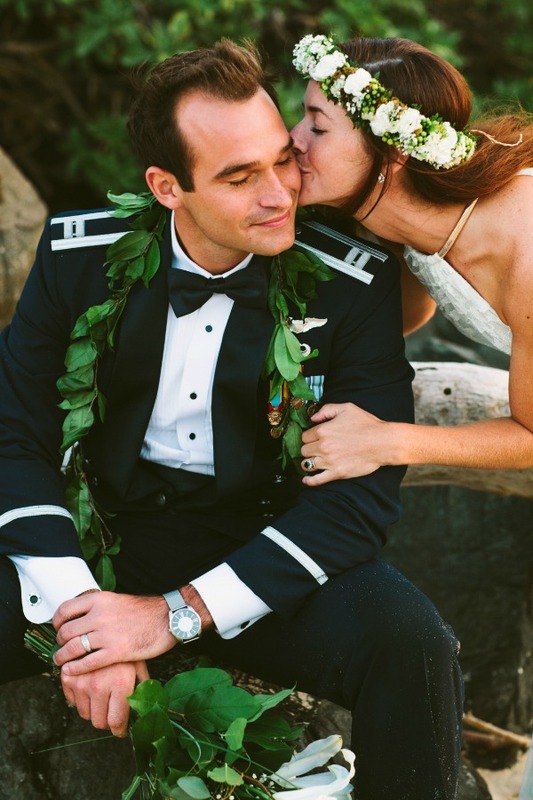 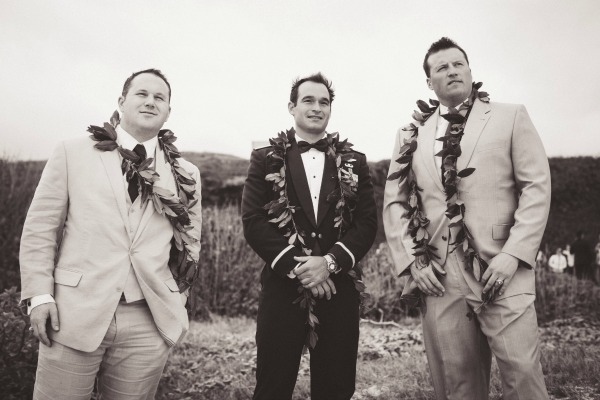 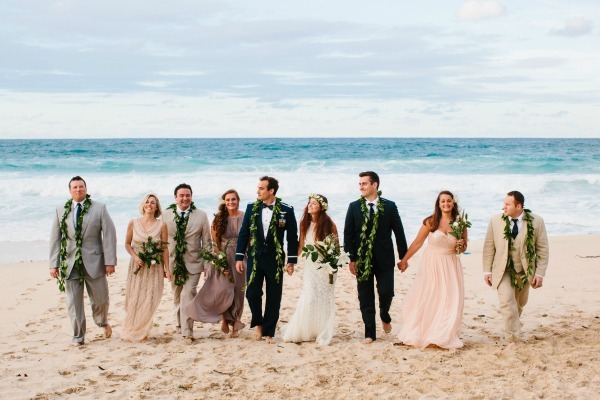 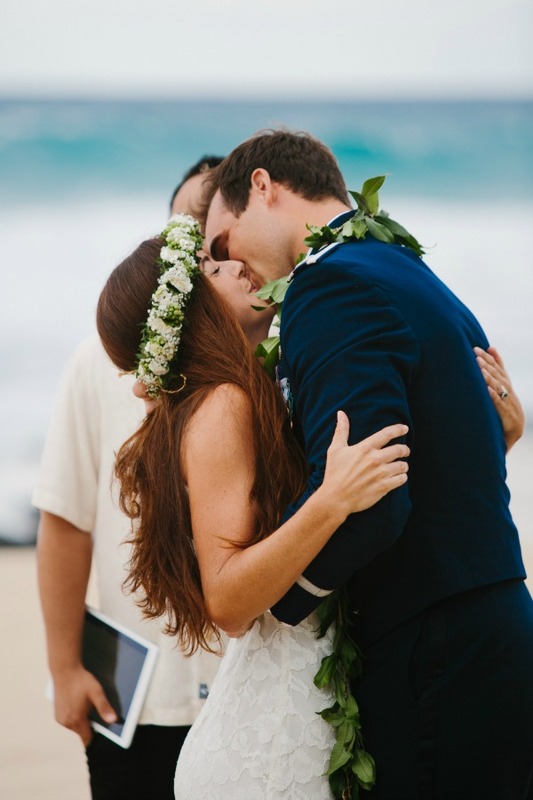 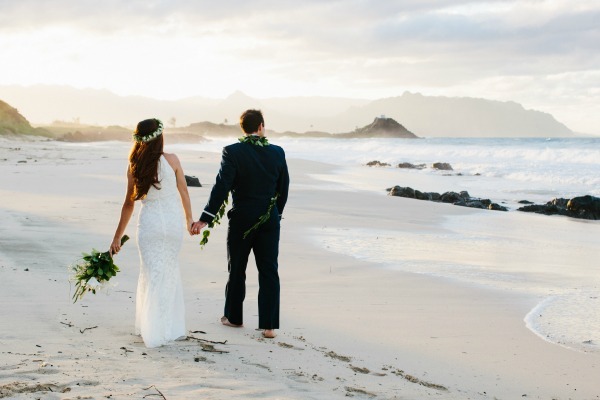 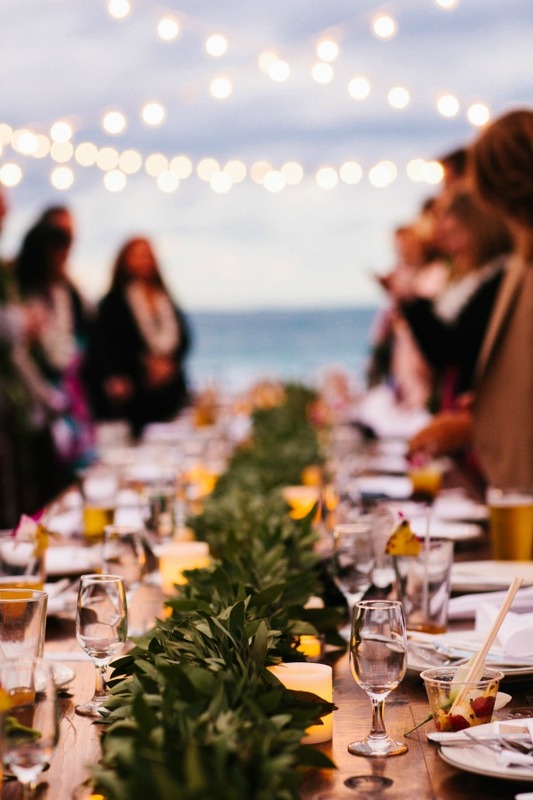 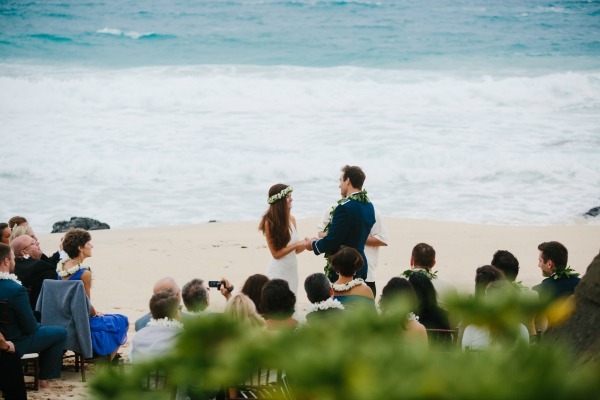 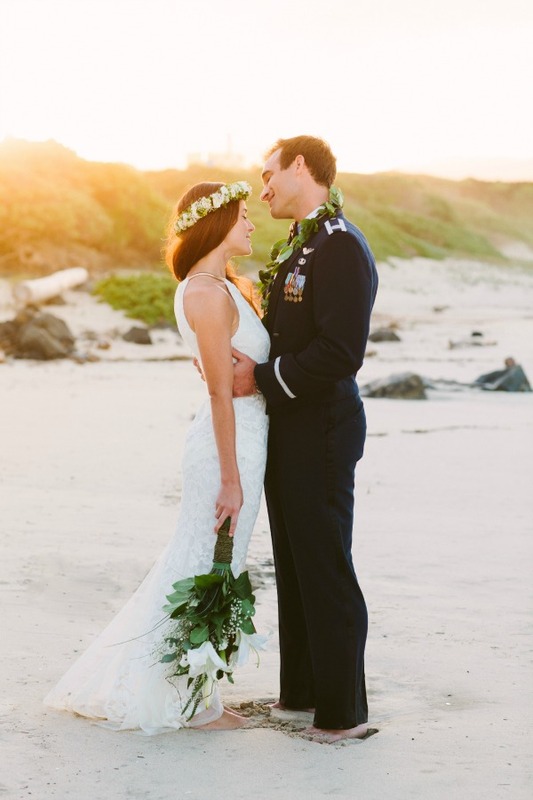 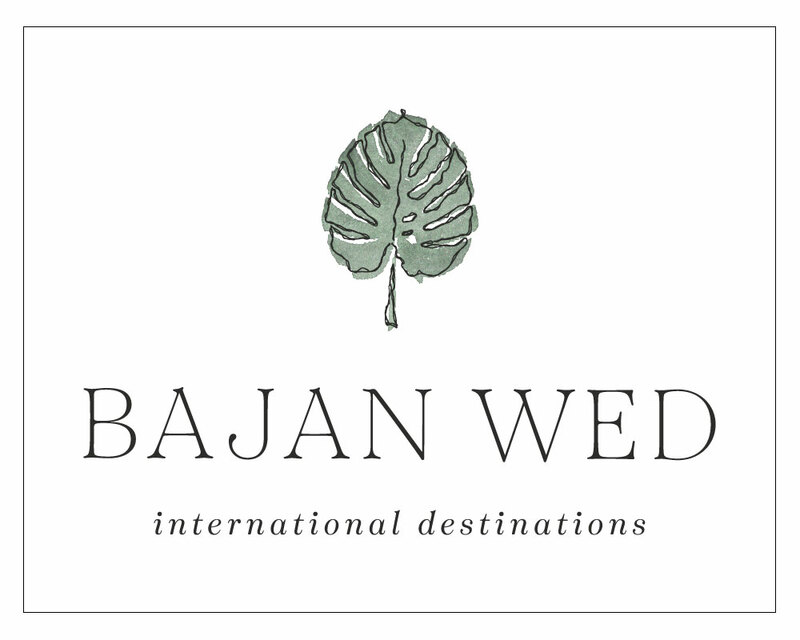 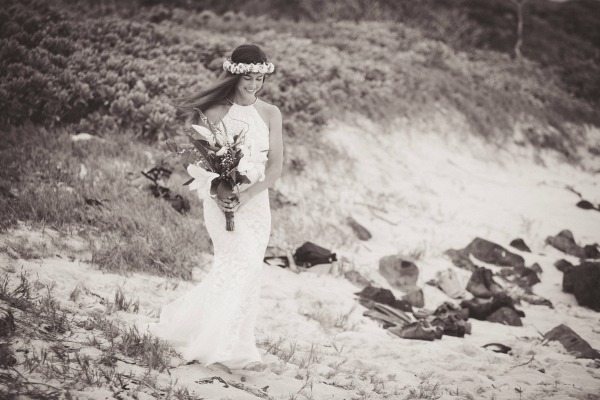 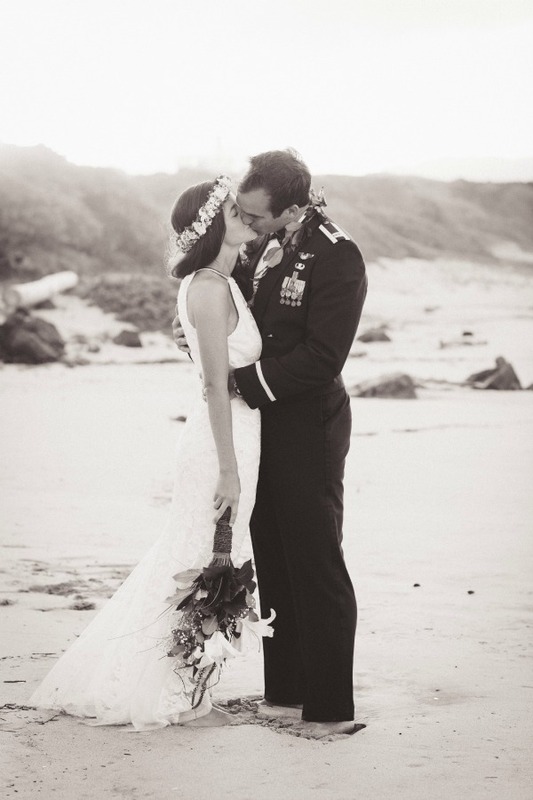 Today’s elegant Hawaiian affair is such a prime example of the magic that can unfold. 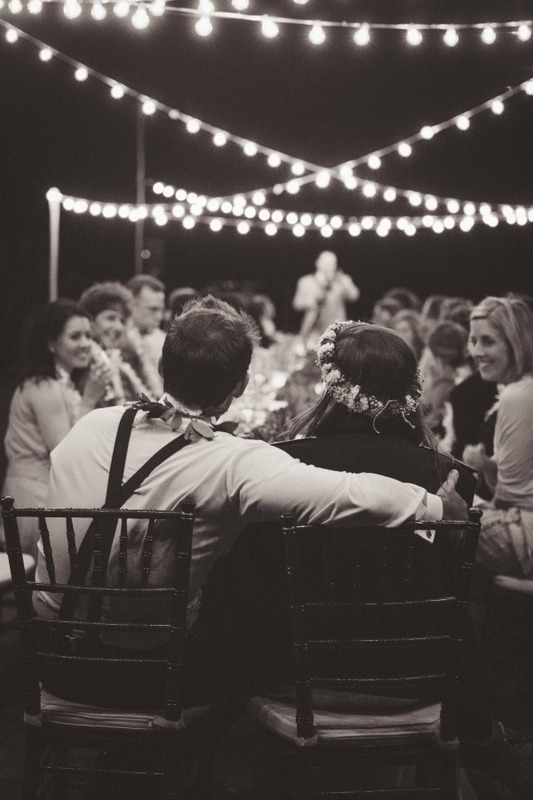 Throughout the event, there’s a strong undercurrent of heartfelt emotion, magnified in that intimate space. 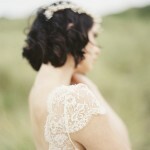 There, to capture it all with expert finesse, was Absolutely Loved Photography! 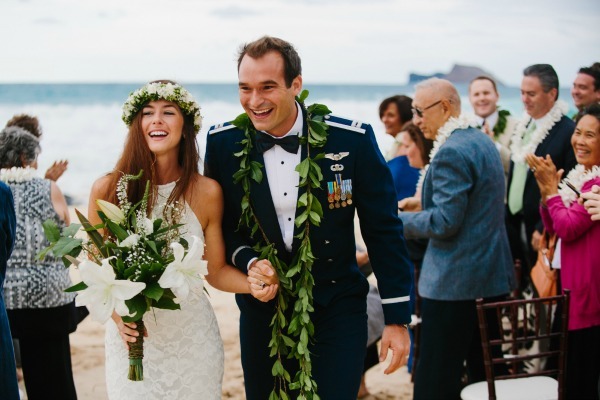 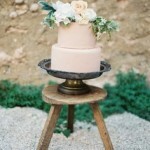 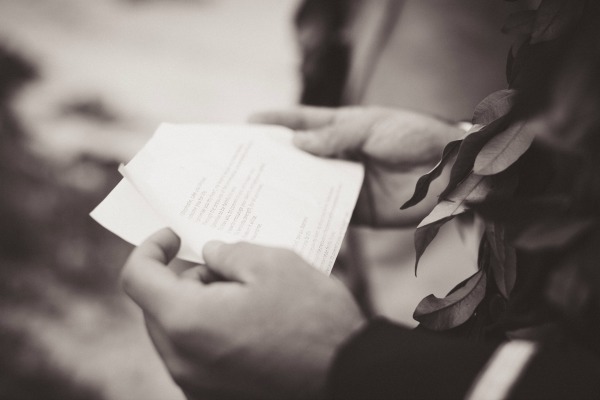 From Absolutely Loved Photography: Stephanie and Michael both wanted a simple, non-traditional wedding. 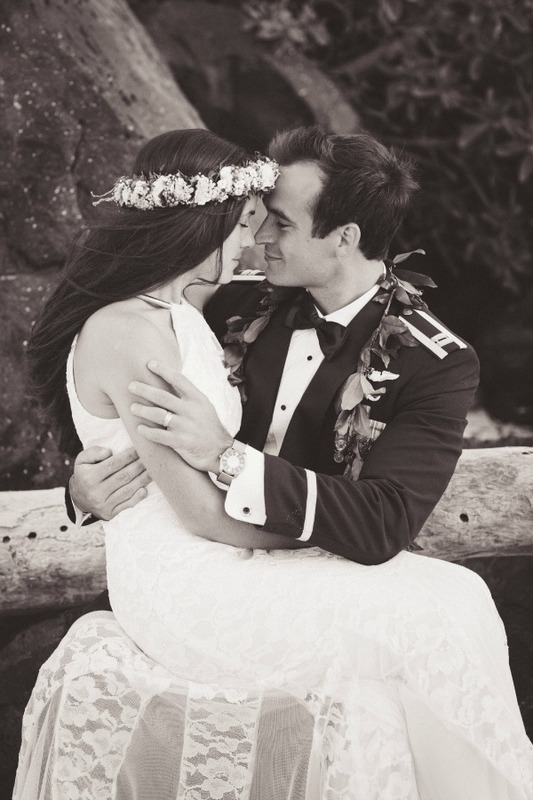 They wanted the main focus to be on their commitment to one another and the meaning behind it. 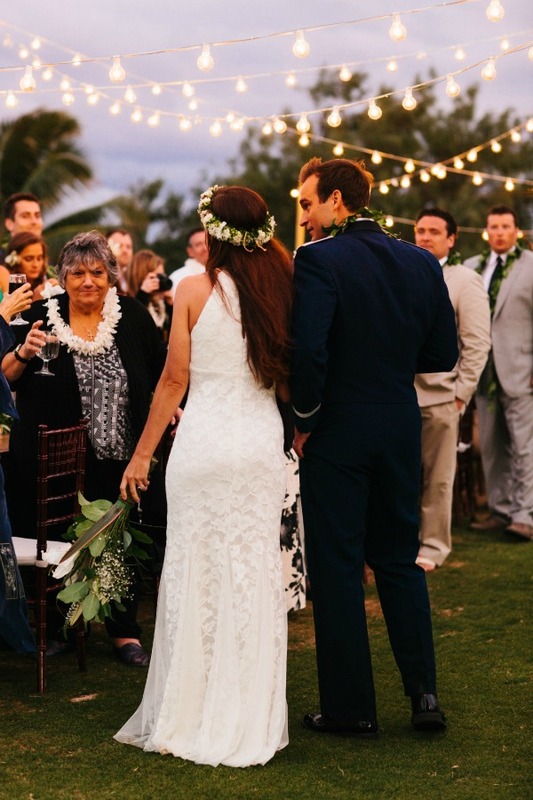 Their small guest list included intimate family and friends. 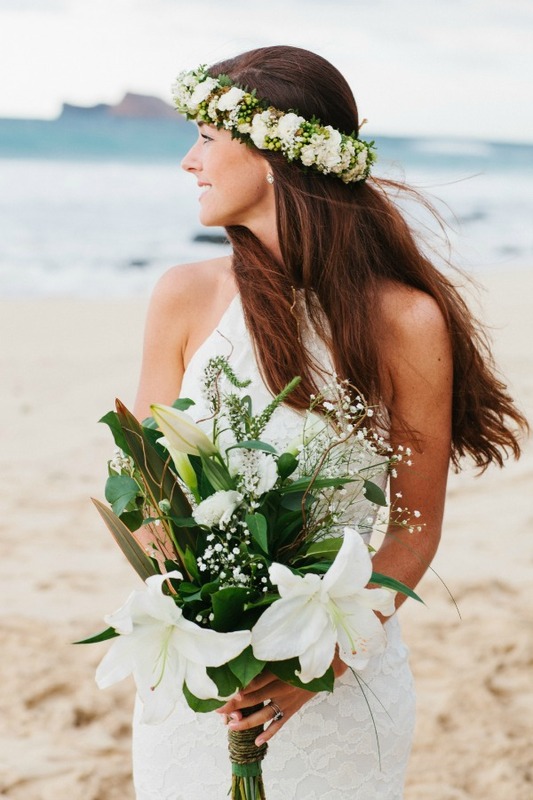 The bride’s bouquet is so unique – absolutely gorgeous!